Dr. Katherine I. Pettus, PhD, IAHPC Advocacy Officer for Palliative Care Medicines, reports on key advocacy meetings in New York, Bogotá and Kampala. August advocacy began with an inspiring Intergenerational Dialogue at the United Nations (UN) on the Sustainable Development Goals (SDGs). I participated in that event as part of my work with the Stakeholder Group on Ageing, to promote palliative care as an essential service to help UN member states fulfill their commitments within Agenda 2030. An intergenerational activity for group discussion, suggested by the chair, was for youth to train as hospice volunteers and to work with the frail elderly. (See my earlier article on how palliative care, as an essential service under Universal Health Coverage, is implicated in progress towards at least eight Targets of the SDGs). This focused advocacy around palliative care and Agenda 2030 will continue during the European Regional Meeting of the World Health Organization in September. 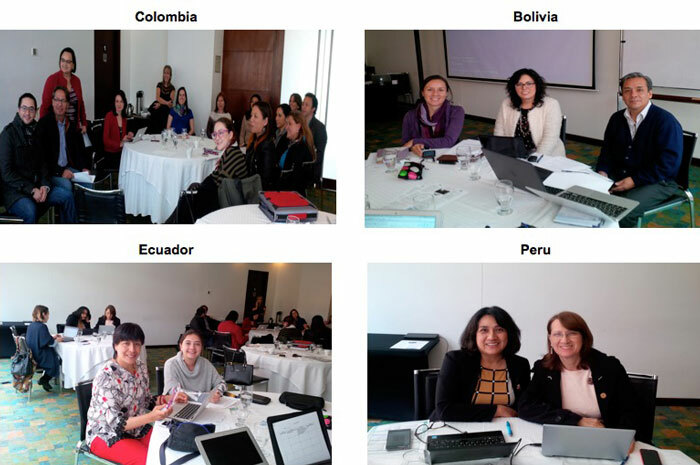 IAHPC convened its second Latin American workshop on palliative care advocacy, focusing on Bolivia, Colombia, Ecuador, and Peru. Presenters included IAHPC Executive Director, Liliana De Lima, myself, and DeJusticia researcher, Isabel Pereira. Country delegations included members of the national palliative care associations and staff from the Ministry of Justice (Bolivia), Ministries of Health (Colombia, Ecuador), and a former Minister of Health from Peru. The agenda introduced participants to the topic of international advocacy, the global institutional and normative framework relevant to palliative care, and ongoing IAHPC work to develop agreed language on palliative care in multi-lateral agreements that govern the development of national policy and budgets. On the second day of the workshop, country delegations developed a (SMART) national advocacy plan that they presented to the larger group for evaluation and discussion. A personal highlight of the trip was to accompany palliative care providers on their home visits to patients and to tour a couple of nursing homes that provide palliative care to older persons. (See article). I am writing this column from Kampala, where I attended the Uganda Cancer Institute – Palliative Care Association of Uganda (UCI-PCAU) Joint International Conference on Palliative Care. I presented on ‘Essential Medicines and Technologies: Linking Global, Regional, National Advocacy’ and attended many inspiring side events and workshops highlighting research, development of hospital and community palliative care programs, and the ongoing development of palliative care in sub-Saharan Africa. As the meeting also celebrated the 50th Anniversary of the Uganda Cancer Institute, it featured interesting presentations on the history of cancer research and treatment in Uganda. Significant progress has been made with international partners to bring world-class diagnosis and treatment technology to Uganda, but this meets only a fraction of the rapidly growing need of an overwhelmingly poor population of 35 million. Uganda has only 20 oncologists facing more than 60,000 new cases annually, with more than 80 percent of patients presenting too late for curative treatment to be efficacious (even if it were available or affordable). Palliative care, along with preventive, curative, and rehabilitative treatments, is thus an ethical imperative. Fortunately, the Palliative Care Association of Uganda, the African Palliative Care Association, and Hospice Africa Uganda, have developed model palliative care services and teaching programs. Universal Health Coverage, required by Target 3.8 of Agenda 2030, is the only way to sustainability, as I emphasized in my presentation. (Links to the full conference will be published next month). As I write, I am planning a visit to the Adjumani refugee camp in Northern Uganda to investigate the palliative care services there, and will report on that visit, along with the WHO European Regional Meeting, which will take place in Budapest. 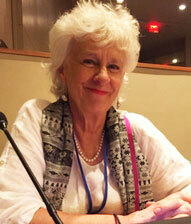 Read Katherine’s bio on the IAHPC website.